Hey tired, dehydrated skin? This is your chance to start over! 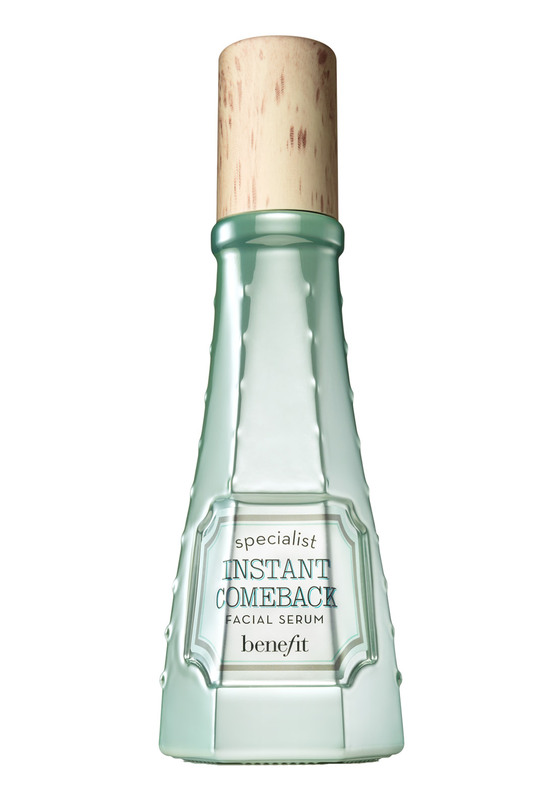 The fast-absorbing formula with tri-radiance complex in the Instant Comeback Facial Serum from Benefit helps protect against the visible signs of aging. Tired skin looks plumped & hydrated and feels firmer and smoother. Dramatically boosts the effectiveness of any skincare routine. To apply: Apply to freshly cleansed face, as needed day or night. Use before any other skincare or as an intensive treatment under day cream.